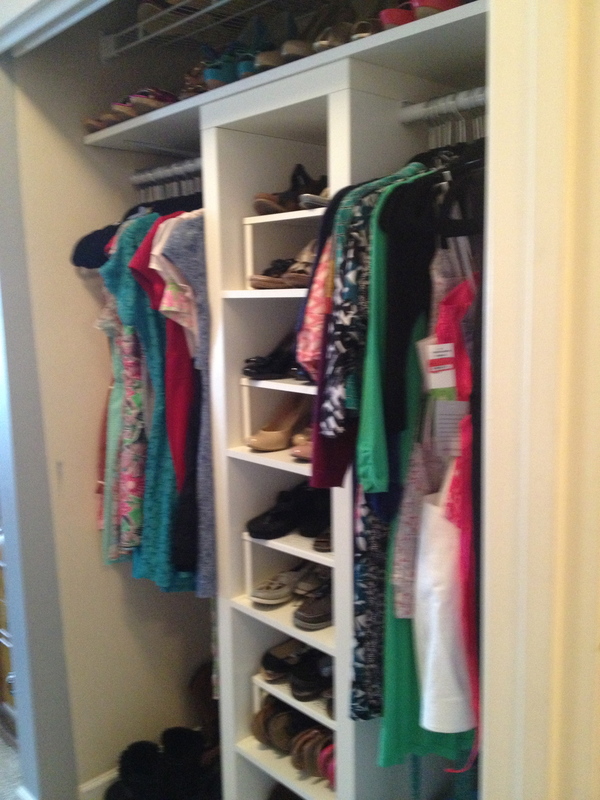 Our condo had amazing storage, including a “walk thru” closet in the master bedroom. 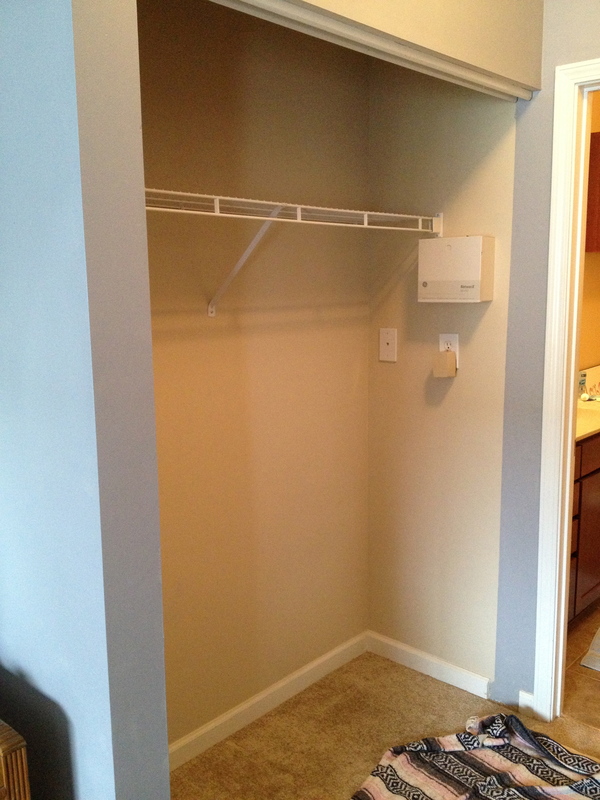 It featured 60″ closets on facing walls. 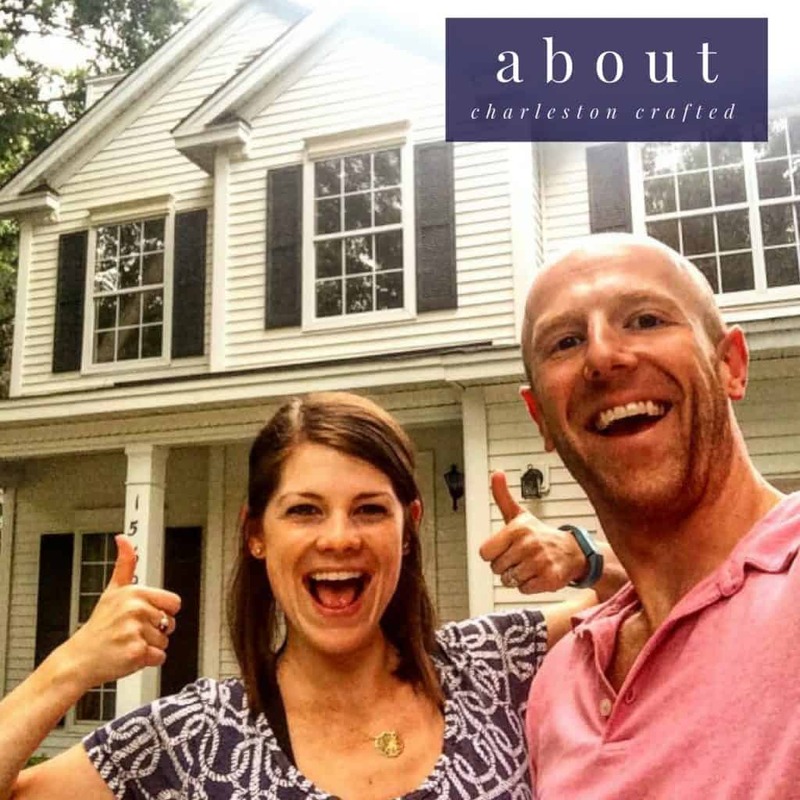 When I first moved in, they were stocked with builder grade wire rods and shelving. They also had sliding doors which drove me bonkers, so we removed them. 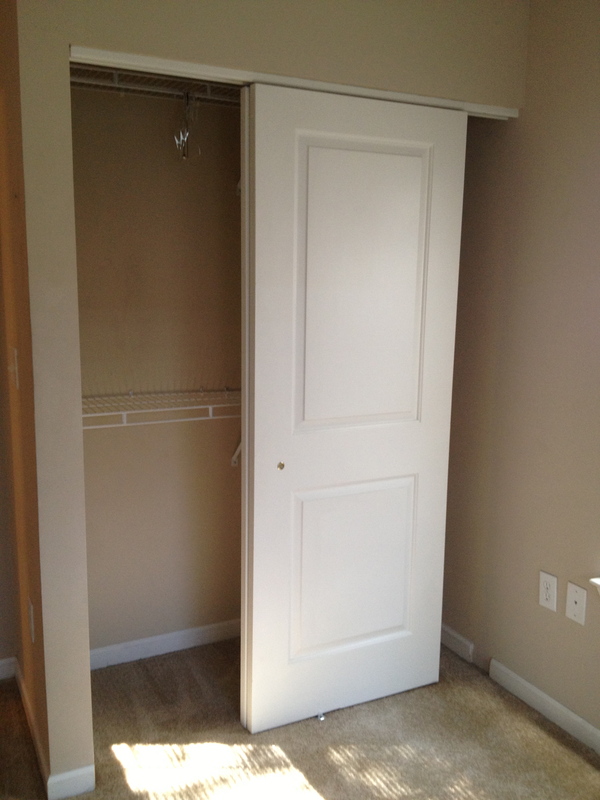 It was kind of controversial to remove the doors, but to me the fact hat they constantly overlapped made the center of my closet unusable. It was a no-brainer! 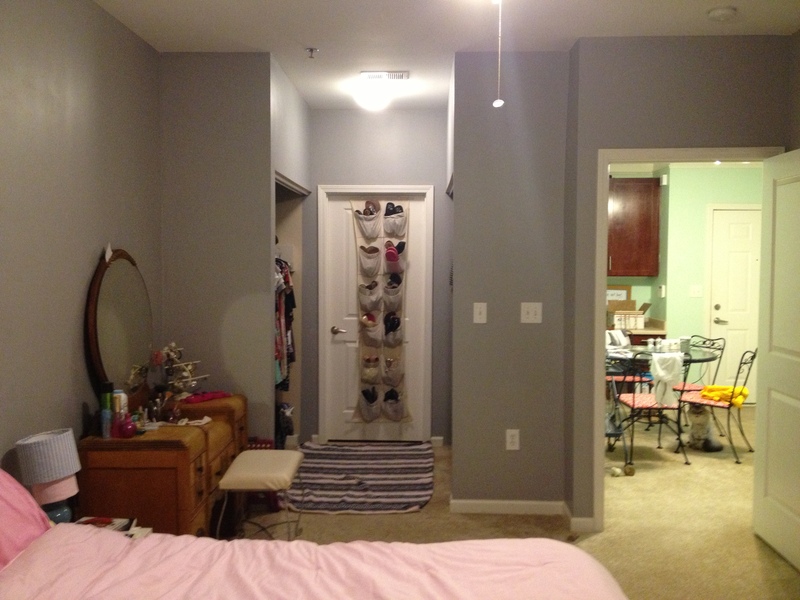 Next, we painted the bedroom, but left the closets unpainted. What a mistake! 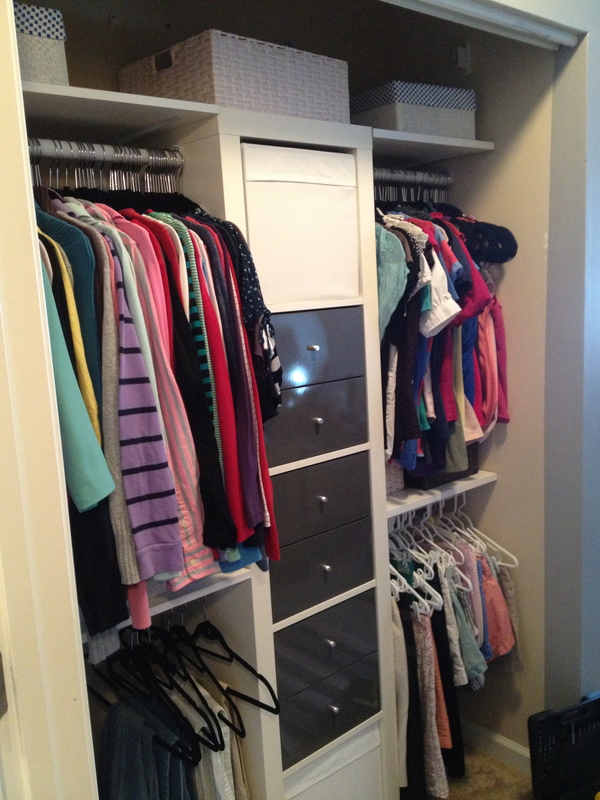 I really wish that I had painted the inside of the closets at this time. 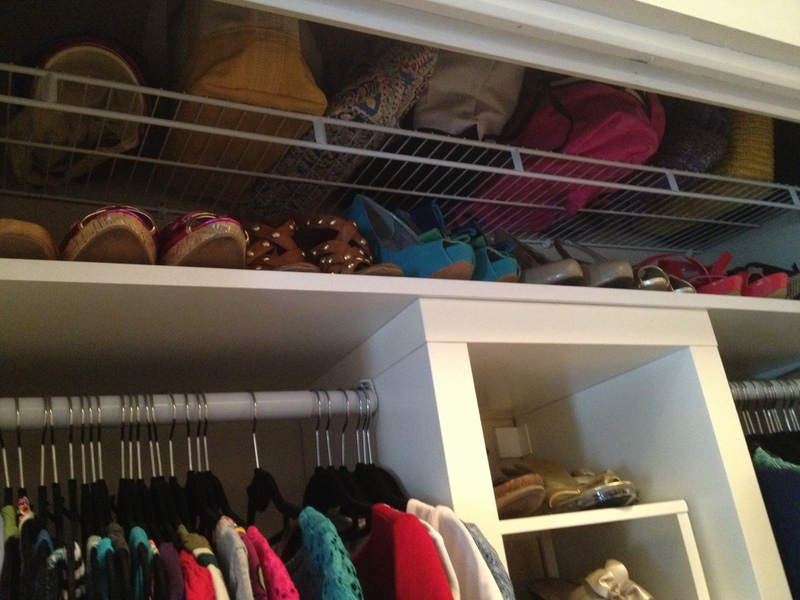 Then, of course, I filled them with all of my things. 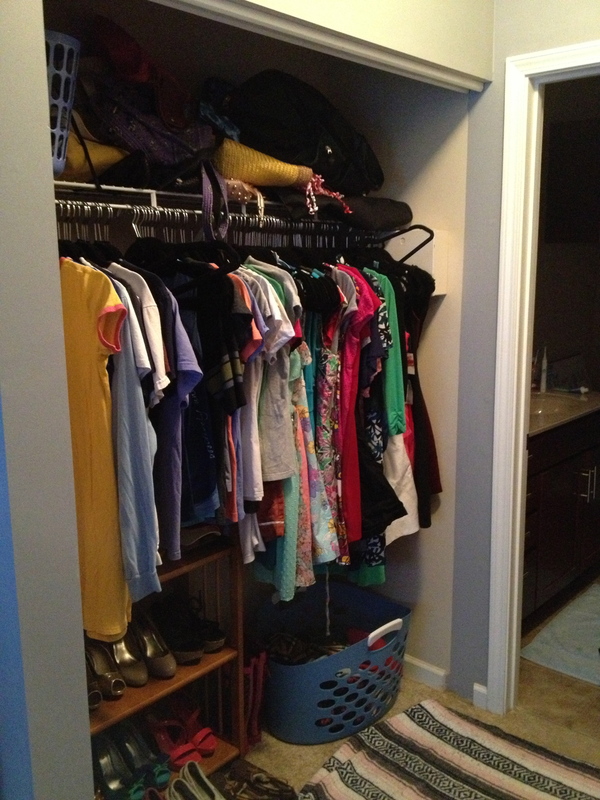 Then, we finally got brave and redesigned my closet systems. 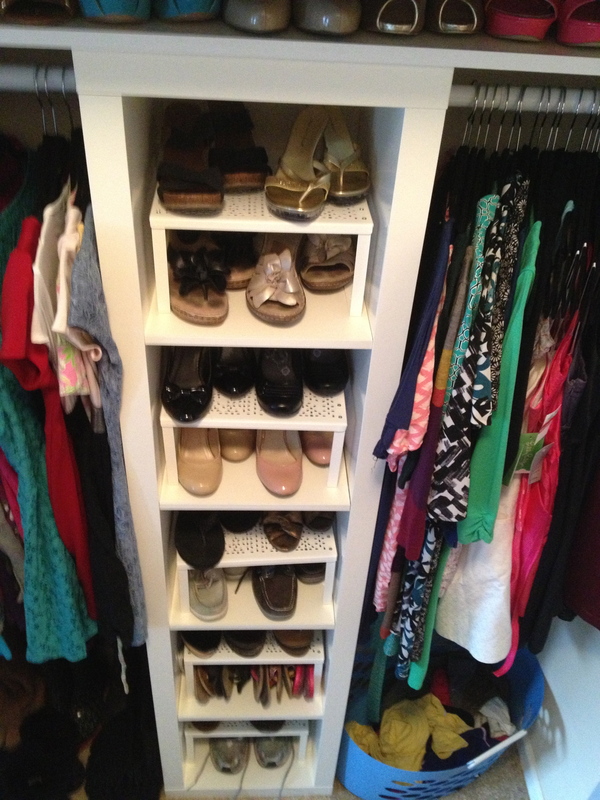 I designed & Sean built new shelving and storage, partially with Ikea Expedit systems and partially from scratch. 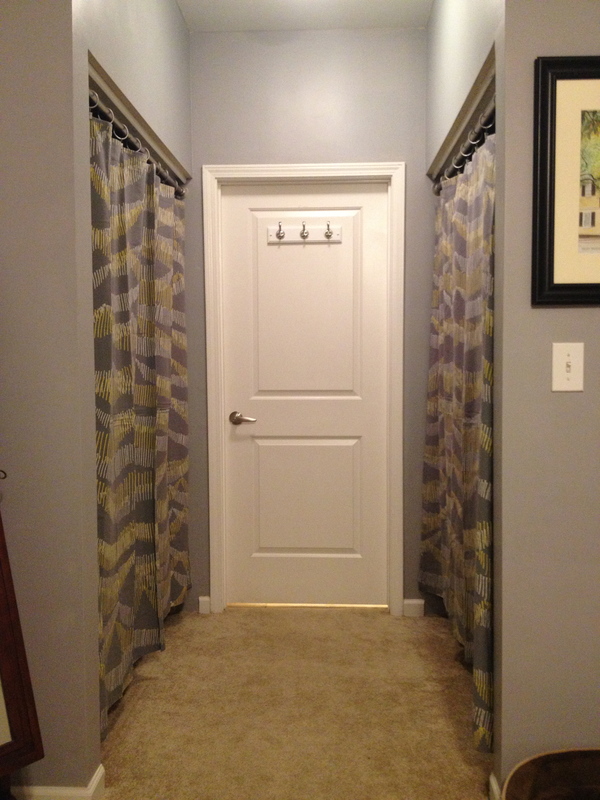 Next, I hung these awesome scalloped curtains instead of reattaching my doors. 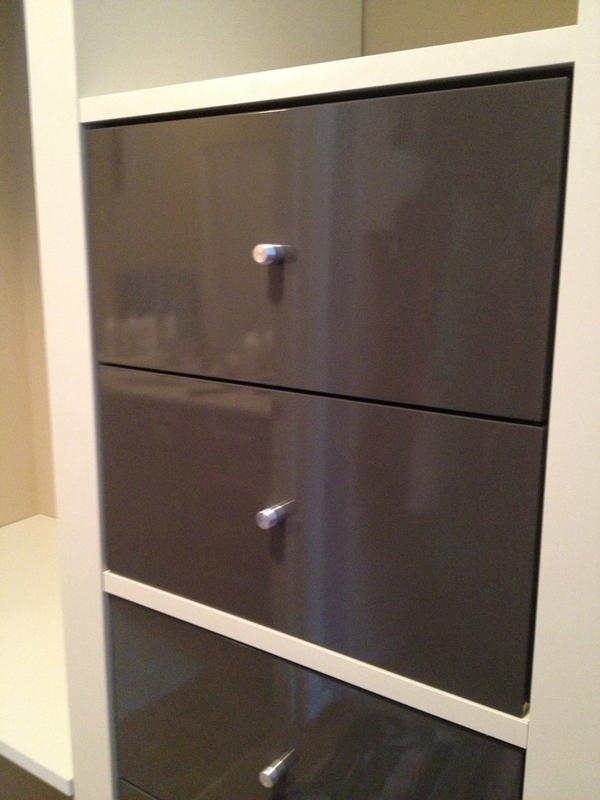 This helped to hide the clutter but was so much more useful than the terrible sliding doors. Messy shoes? 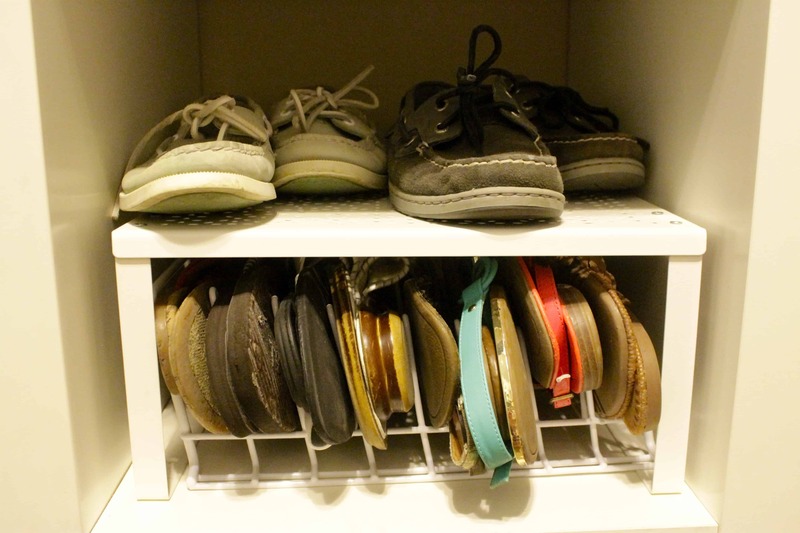 Here’s my sandal organization tip! 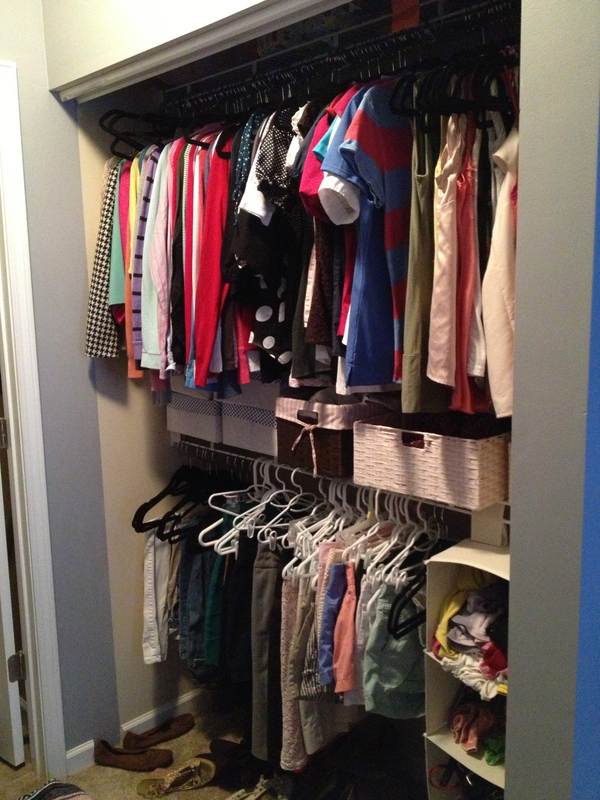 If you live in a small space, you might also be interested in our hack for not having a coat closet!